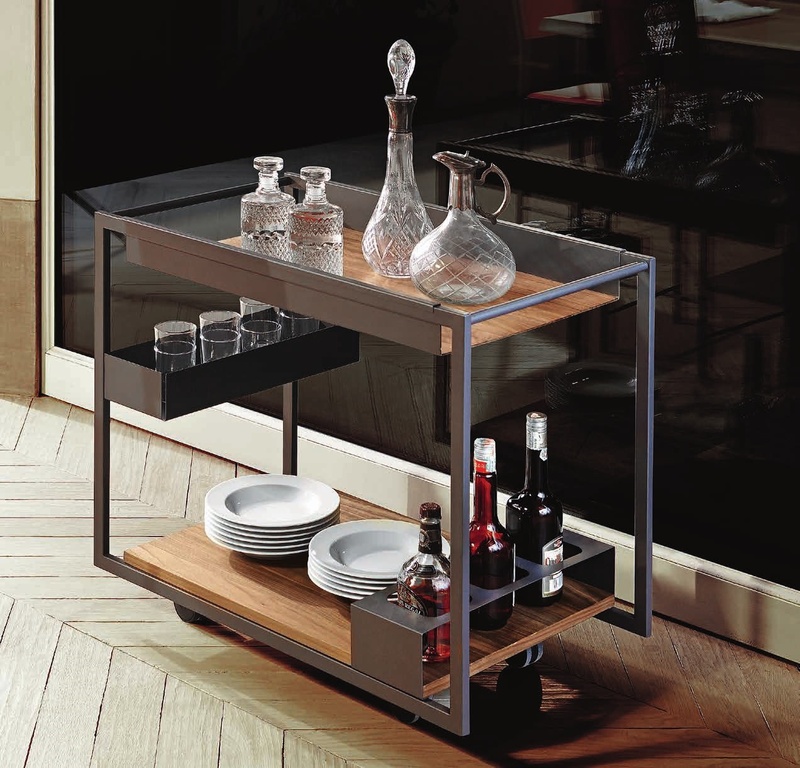 Trolley bar on wheels with chromed structure, satin finish steel shelves. Base rack in wenghè. Optional: pull out tray in wenghè.